"Excellent value for money and enjoyed the stay." "Wouldn't stay anywhere else in Dungarvan. " "Great location and great value." "Very nice hotel, staff are lovely, really friendly and helpful. Room was perfect 👌 "
"Great location . Excellent staff. We have stayed a number of times. Always made to feel so welcome. "Enjoyed our weekend very much "
Welcome to Lawlors Family Run Hotel Dungarvan, one of the best known and longest established hotels in the coastal town of Dungarvan, Waterford, in the South East of Ireland. Driving to Dungarvan has never been easier with the opening of the M9 its just two and a half hours drive from Dublin. See our location map for directions. Our conference venue and meeting room facilities have been specially designed to suit all your needs from conferencing, team building, product launching and other corporate events. A revolutionary Dining Concept. This 21st century concept is based on the practice of cooking on stones which dates back many thousands of years. Black Rock is an interactive cooking system that uses heated black rocks to grill food. The rocks are made of volcanic granite from Africa and the slabs are placed in a specially made oven that reaches 440°C. The rocks are removed from the oven and placed on the diner's table, allowing them to watch their food being cooked or to cook it themselves. The rocks can cook most meats and seafood. Join us for a BBQ in our lovely Courtyard at Lawlors - we have over five BBQ menus for you to choose from. Our menus start from as little as €10.00 per person - see all the great menus we have to offer on our BBQ Page. There is certainly plenty of things to in Dungarvan for Families - with beautiful Clonea Beach which is two miles long and plenty of parks, attractions and a cinema, Dungarvan is especially great for Kids. Lawlor's welcomes families and kids certainly enjoy our friendly atmosphere. The Waterford Greenway is a spectacular 46km off road cycling and walking trail, along an old railway line between Waterford and Dungarvan. Here you will experience a scenic adventure, weither your walking or cycling, across three tall viaducts from the river to the sea. Take a Beautiful Journey and explore the hidden gems along the Waterford Greenway. Dungarvan Golf Club's Championship Parkland course is located 4km outside the town of Dungarvan, County Waterford, and is set against the backdrop of the Comeragh Mountains. This attractive and excellently maintained Championship Parkland course has been architecturally designed to challenge all levels of golfer. The golf course is 6,688 yards for gents and 5,456 for ladies. Dungarvan located on the mouth of the Colligan river and with the Comeragh Mountains in the background, the town has much to offer with miles of clean sandy beach for a family day out. Grattan Square is the central point of the town, where many shops can be explored for the perfect gift. This lovely, wild area on the western shores of Dungarvan Bay is the heart of An Gaeltacht - an area where the Irish language is the first language of the people. The area contains An Cuinigear, a long, pencil-slim peninsula in Dungarvan Bay which hosts a huge variety of seabirds. Crafts in the area include fine cut crystal at Criostal na Rinne and Irish Wildlife Mobiles in Sean Phobal. Lawlors Hotel is the perfect wedding venue for you and your guests. We cater for civil ceremonies, small intimate family gatherings and large parties up to 350 guests. We would be delighted to use our years of experience and expertise to assist you plan your wedding reception. This, combined with our reputation for excellent food, professional service, sets the scene for an idyllic and memorable day. Lawlors Hotel, Dungarvan is approved for Civil Ceremonies. We have a Fantastic Wedding Special Package to offer our Bride and Grooms to be. We would love to hear from you to help plan this great day. Contact our Wedding Co-ordinator on 058-41122 or info@lawlorshotel.com to discuss your wedding needs with us. 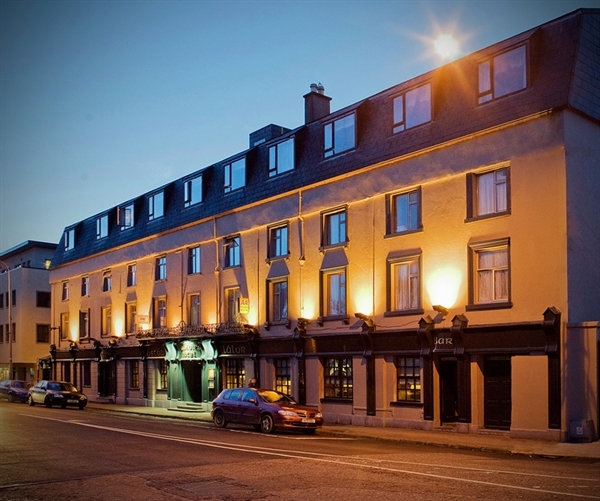 One of the best known and longest established hotels in the coastal town of Dungarvan, Waterford, in the South East of Ireland. The hotel is situated on Dungarvan Harbour, where the River Colligan broadens and enters the sea. Our 89 en-suite rooms are an excellent combination of modern comforts with old world charm making it the ideal hotel for you and your group or family. Celebrating a birthday, anniversary or a romantic break away and would like to surprise that someone special – pre order your celebratory wine/champagne, flowers, chocolates or let us know what you would like and we will be happy to arrange it for you. There is a wide range of activity to choose from horse riding, fishing in the lakes and rivers, tennis to pitch and putt. We have three magnificent Championship golf courses to choose from.